Attend one of our Two-Week Teen Camps and add on the option to get your Scuba Dive Certification Card. The ‘PADI Open Water Dive Course’ is the most universally recognized dive course in the world, with millions of people going on to apply what they’ve learned to explore some of the most incredible aquatic locations on Earth! To add-on the option to get certified you must already be registered for a two-week teen camp, must be 12 years or older, must be able to swim confidently in the open ocean and be in good physical health. No prior experience is necessary to register and you will be provided with all gear, equipment and expert professional instruction. 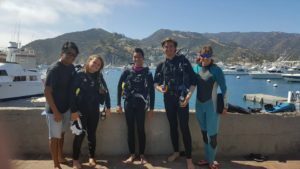 Want To Get Scuba Certified At Camp? 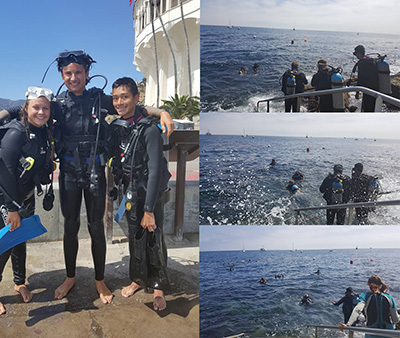 This is a once in a lifetime opportunity to earn your Scuba Dive Certification Card during Floating Sea Camp at Santa Catalina Island. Already Certified? Come Dive With Us! 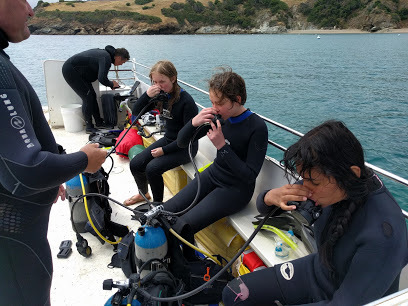 If you already have your Scuba Dive Certification Card then you can add on the option to dive once or twice during your week of Floating Sea Camp. This is an incredible opportunity to experience scuba diving at a wolrd-class dive park, known for it’s resident Giant Sea Bass and ideal water conditions! Over 8 training and test dives! 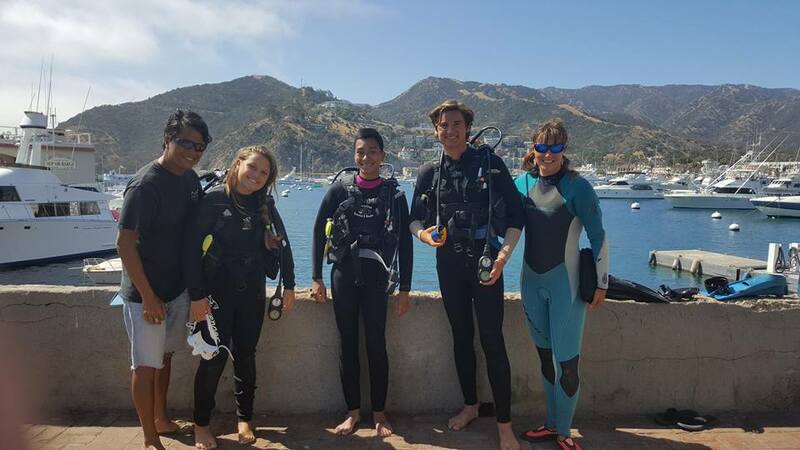 This is an incredible opportunity to learn to dive at Catalina Island, one of North America’s best dive locations, voted No1 by Scuba Diving magazine as the most desired dive destination in North America! This is for the avid adventurist who wants to go beyond the basics of snorkeling to go on to earn your Open Water Dive Certification, which is valid for a lifetime and opens up an entire world for you to explore in endless exotic locations around the world. Whether if you have previous experience or not, Scuba Certification Camp is a unique opportunity to receive lessons and coaching, sharpen your skills and learn from several expert and seasoned local divers, all while living on board a marine research vessel and touring the various coves of Catalina Island. Sound too good to be true? Floating Sea Camp is now making this opportunity of a lifetime available to all our summer campers! Register online here!